CORRECTION: This post has been updated and erroneous information updated, including the names of YKO’s owner. City Bites regrets any confusion this may have caused. Spice-crazed grill-loving fans of YRE’s, the take-out barbecue chicken joint in Sandy Hill, were devastated when news began spreading back in 2006 that the Charlotte Street building was being sold and torn down. We knew it was coming. Then last May the news was confirmed: after a decade of delicious smoky service, Yre’s was no more. Rumours have been swirling ever since that the owner, Moussa Coulibaly, was searching for a new location to bring the beloved barbecue spot back to life. As it turns out, he has returned to the Ivory Coast and his wife, Sita Sanogo Coulibaly, now owns the business. The couple’s daughter, Koundienetia Ramata Coulibaly works in the new shop as well. When I stopped by, I found Chef Lazare Boubala on a quiet Wednesday afternoon flipping bronzed birds over hot charcoal in the fresh new kitchen in the corner of a stripmall on McArthur Avenue. Walking through the door, the drool-inducing scent of mingling smoke and spice will be a comfortingly familiar to his followers, a clue that they have indeed come to the right place. Like YRE’s, YKO’s will no doubt remain a mostly take-out business. 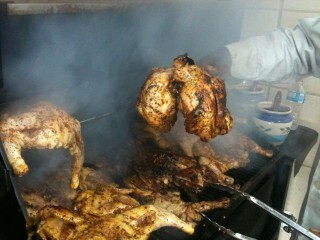 Customers quickly discover that each chicken is cooked to order and there’s no point in being in a rush here. Boubala suggests calling in your order at least 20 minutes before you plan to arrive. Once there, there’s no obvious take-out counter, and I spotted no cash register (don’t forget to bring cash – exact change is advised), no beverages, no menus; just a bare-bones glass-front room with four little tables, a few pieces of African art on the walls, and music from the Ivory Coast on the stereo. During a quick chat with Chef Boubala, I learned that he has plans to expand his menu in the future to include fish and some desserts (crème brulée and another made with grapefruit) to his menu, which thus far has been entirely dedicated to doing one thing really, really well. Don’t be surprised to see the grillmaster decked out in uniform: a white chef’s coat and tall white floppy toque. One taste of the spice-rubbed, slow-cooked charcoal-grilled bird and you’ll understand: this classically trained Chef Cuisinier could not take chicken more seriously. 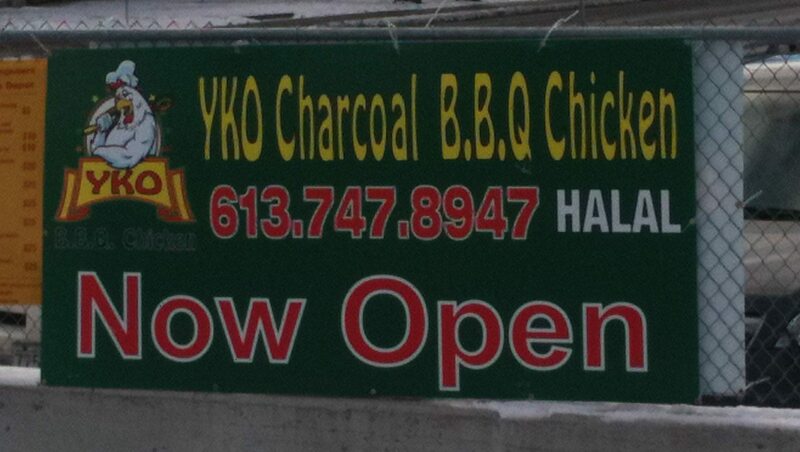 YKO Charcoal B.B.Q Chicken, 375 McArthur Ave., 613-747-8947. Open seven days a week, noon to 10 p.m.